Happy Monday!!!! 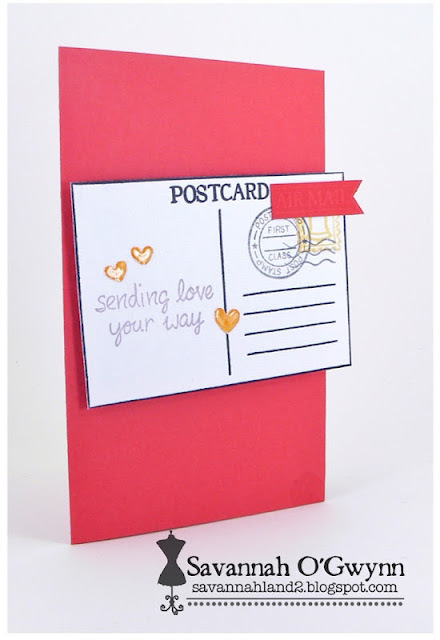 It's Stephanie here to share one last card using A Walk On the Bright Side kit. I surely have loved creating with this amazing kit so much fun!!! I just love these Lawn fawn papers and how can you not try to incorporate all these lovely colors and patterns. 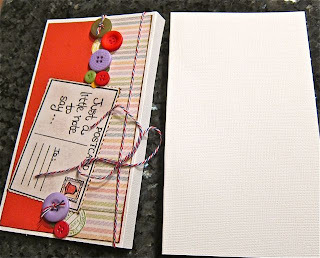 I used my 1 inch square punch for the side panel and did a little sewing for a fun touch and then just added the sweet sentiment and cute envelopes and done. 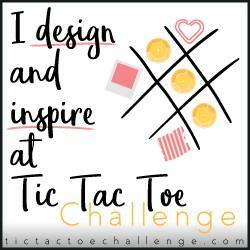 I hope you enjoyed all the amazing projects by the DT don't forget to join us tomorrow for the reveal of a new kit!!!!! Hello and welcome, friends! 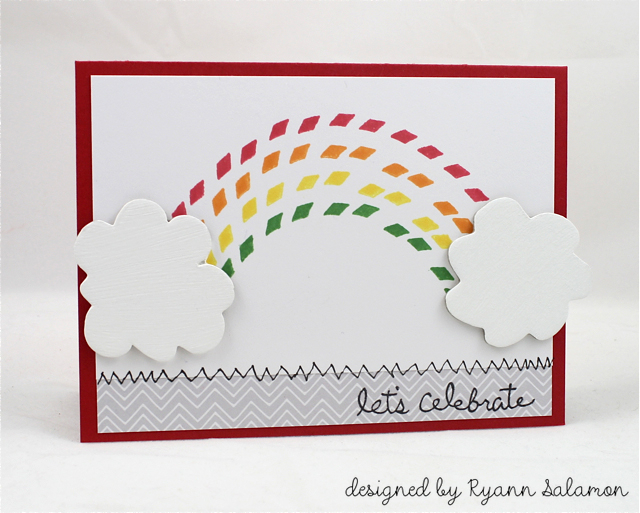 Ryann here with a fun and colorful card to share. 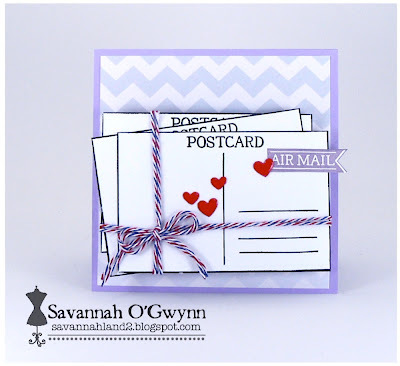 I'm also going to show you how to get more mileage out of your clear stamps! Whenever I get a new set of stamps, I always to try think outside the box and see what can be made from them that isn't obvious and maybe not ever even intended by the stamp designer. 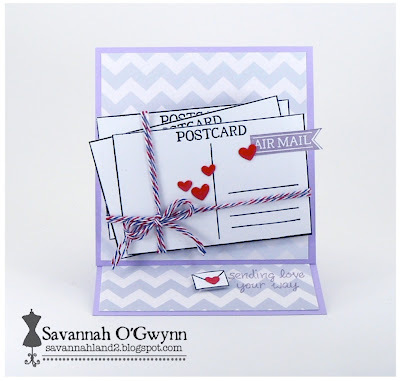 One of my favorite ways to do this is to actually manipulate the stamp itself and BEND it! 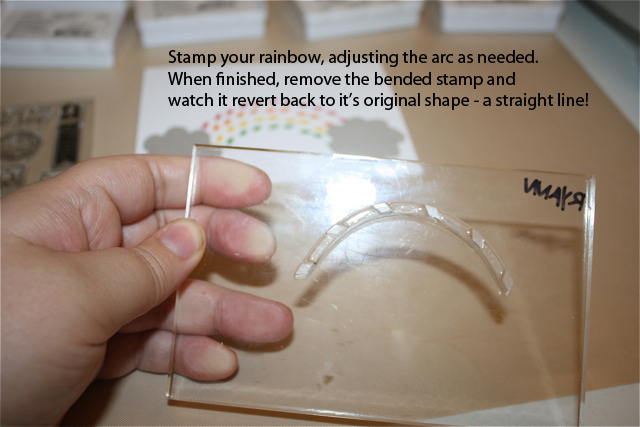 All you do is take your clear stamp and bend it into the shape you want while placing it onto your acrylic block. After getting the stamp into the shape you want, ink it up and stamp away. 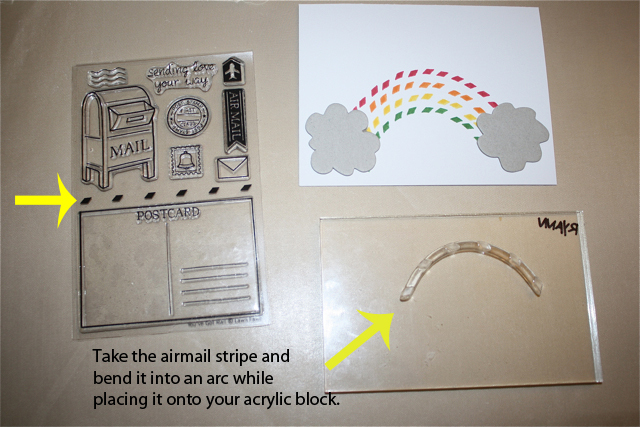 When you are all done, just remove the stamp from your acrylic block and watch as it springs back into it's original shape! I cannot believe April is coming to an end soon. Last month was so busy, I thought for sure April would slow down. Nope, it had no mercy and it just flew by. Please, please, please my dear May, be kind to me. Hurry and get one of the few remaining kits. With May fast approaching, we will have a brand spankin' new kit to play with. So, what to do with my last card? Try out that amazing Wobble thingy of course. 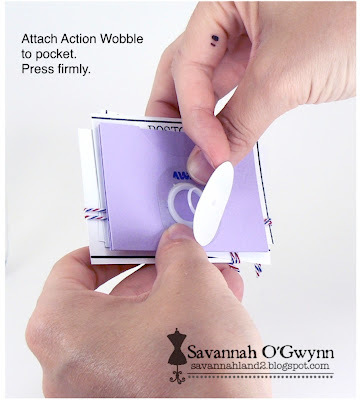 If you watched my video revealing this months kit, you heard my puzzlement over the Wobble thingy. I have since looked it up and seen it in action. It is super cool and some of the design team have already shared their creations with it. Not sure how to use it... Savannah has an amazing tutorial HERE. 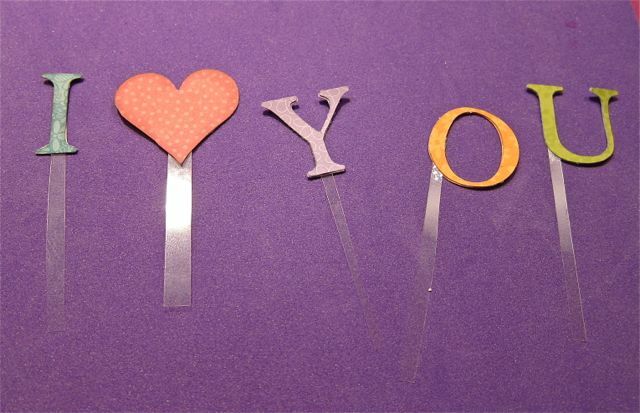 I covered a die cut heart with lots of colorful letters. Still LOVING all the fun colors in the Bright Side paper pad. And there are TONS of papers left to make more cards. Underneath, is the hidden Wobble. Ready to see it in action? I cut out my card base with my Cameo to look like a postage stamp. Then I layered some of the stamps in the You've Got Mail stamp set on the banner. I couldn't resist adding a little faux stitching at the end. You can NOW sign up for the Baker's Dozen subscription for the FRESH BAKED kits. Your kit will arrive to you in your mailbox every month and you get a sweet little discount too. Check out all the yummy details HERE. Thank you for stopping by and I hope you have a wonderful Saturday. 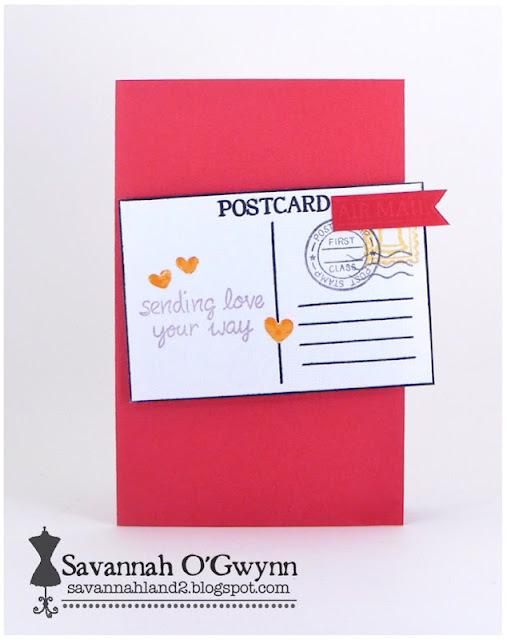 Savannah O'Gwynn here to share a couple CAS cards using my scraps from the Paper Made Bakery kit, Walk on the Bright Side. Here is a picture of the PMB April kit, Walk on the Bright Side-- be sure to get your kit, Walk on the Bright Side HERE! For my first card, I used the pink/red cardstock (my FAV) as the base. 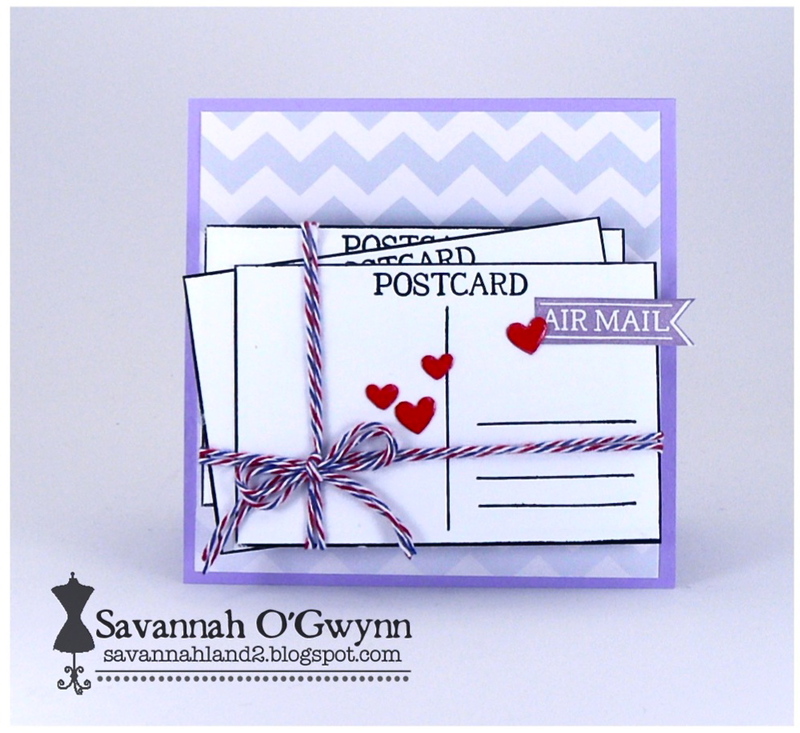 I stamped the Lawn Fawn postcard image and added the sentiment and layered stamp/cancelled image and airmail tag. LOVE how this turned out--so CAS! My second card also had the same cardstock as the base. I watermarked the postcard image and then added several sheets of paper and the Lawn Fawn twine as an embellishment. LOVE! I think I will be sending this card to my great uncle (he just got out of the hospital). And if you are in the San Diego area--there are classes available at the PMB!! Check out the schedule HERE. You don't want to miss out on this super cute kit or amazing classes! 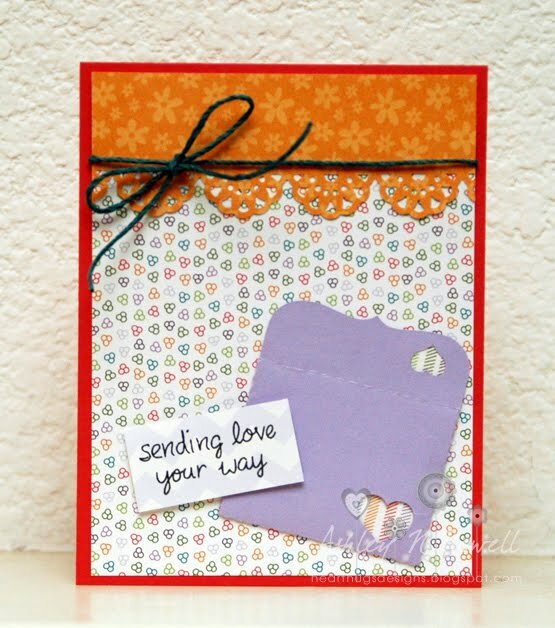 ****And mark your calendar for May 1st--that is our PMB May kit release blog hop!!! That's it for the Paper Made Bakery today! THANK YOU for stopping by! Be blessed! You spoke and we listened! 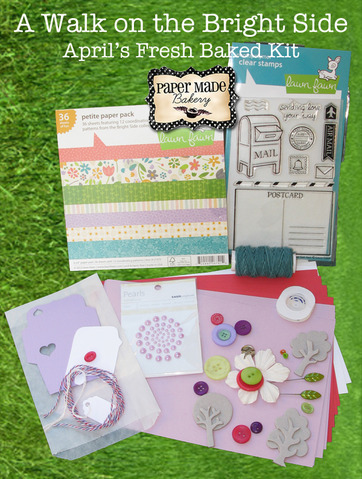 We've gotten many requests to create a kit subscription option - the thrilling anticipation of getting all that paper crafting, card making good stuff delivered right to your door every single month! Each month a new Fresh Baked Kit will be shipped to you containing a clear stamp set, and enough patterned paper (6 x 6), note cards, envelopes and ribbon/embellishments to create at least 10 handmade cards. 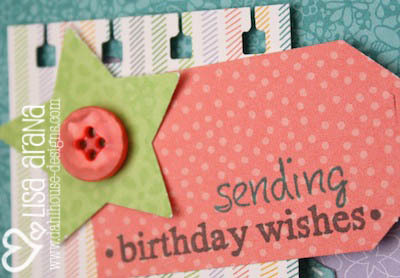 Our design team offers dozens of card samples and loads of inspiration daily on the Paper Made Bakery website! Kits are shipped via USPS by the 10th of the month. Shipping charges are included in the monthly kit price. The kit is neatly packaged and an “ingredients” label outlines all the products inside. Subscribers are billed monthly (on the date of the month they subscribed), receive priority shipping and are guaranteed a Fresh Baked Kit brimming with the best, coordinated product in the industry. Subscribers also enjoy 10% off past kits that can be shipped with their monthly kit. Subscription begins with the current month's kit on the day you subscribe. This is a 3-month subscription with automatic renewal until cancelled by you. You may cancel at any time via email (papermadebakery@gmail.com) after the initial 3-month subscription with no penalty. A $25 cancellation fee is charged should you cancel within the first three months. Baker’s Dozen subscribers receive a FREE mini kit with their sixth monthly Fresh Baked Kit. Subscribers receive a FREE anniversary “13aker’s Dozen” kit with their twelfth monthly Fresh Baked Kit. If you have any questions, please don’t hesitate to contact Shannon. Click on the SUBSCRIPTION tab above to begin your monthly joy! Hello PMB friends! This is Michelle here today with my last creation for the month using April's Walk on the Bright Side kit. 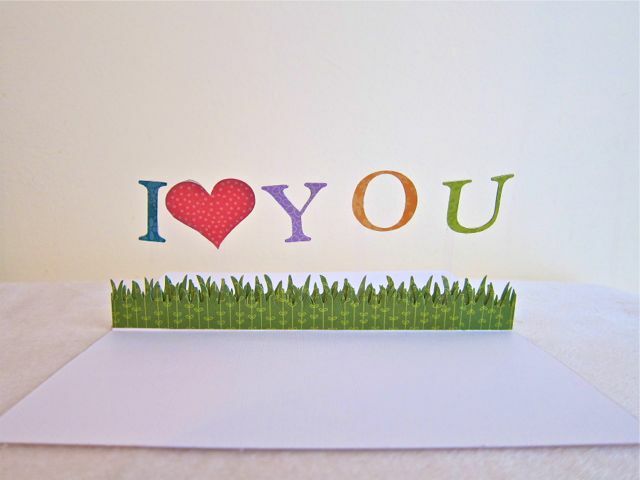 I just love all the fun Lawn Fawn elements and all the cute matching embellishments. I realized I hadn't even touched the buttons in the kit this month, so I layered them with a few stamps and circle punches, and I still have some buttons leftover. 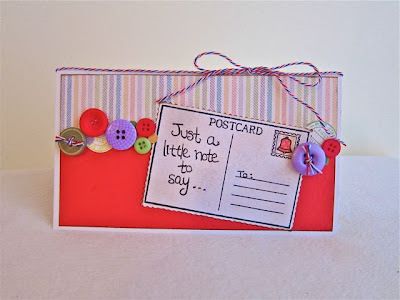 Here is a colorful card with a handwritten note on the front postcard, and a magical floating pop-up sentiment on the inside. 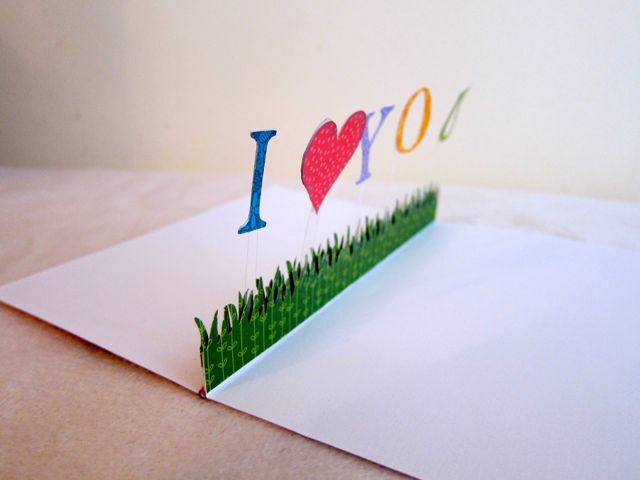 You can leave the card opened and have the sentiment as the display. 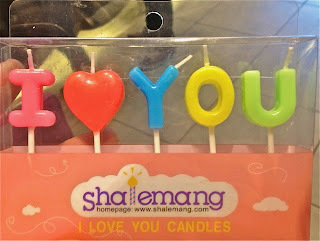 I was at a local Korean bakery and saw this candle pack which I thought was so cute. I wanted to find a way to replicate them on my card. 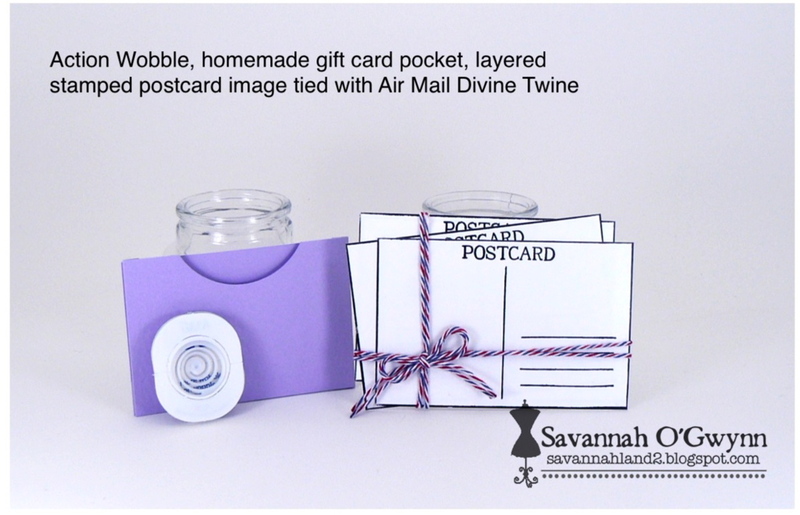 I wanted the candles to be sticking up, in a 3-D manner like on a cake, instead of glued flat on the card base. 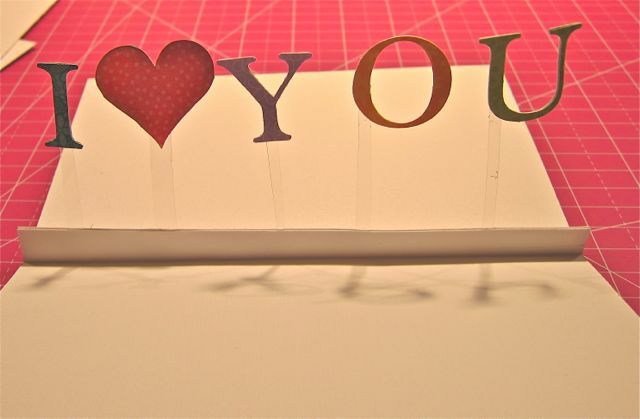 I placed some paper scraps on my Cricut mat and cut out my letters and heart. I used the Plantin Schoolbook cartridge with 1.25" cut size, and I cut each image twice. You can also use your Silhouette Cameo or any other letters that you have lying around. I used my Cricut instead of my Cameo since it was for a few single letters instead of words that I wanted joined together. I glued the same letters together, back to back, with a sliver of acetate in between the two layers. 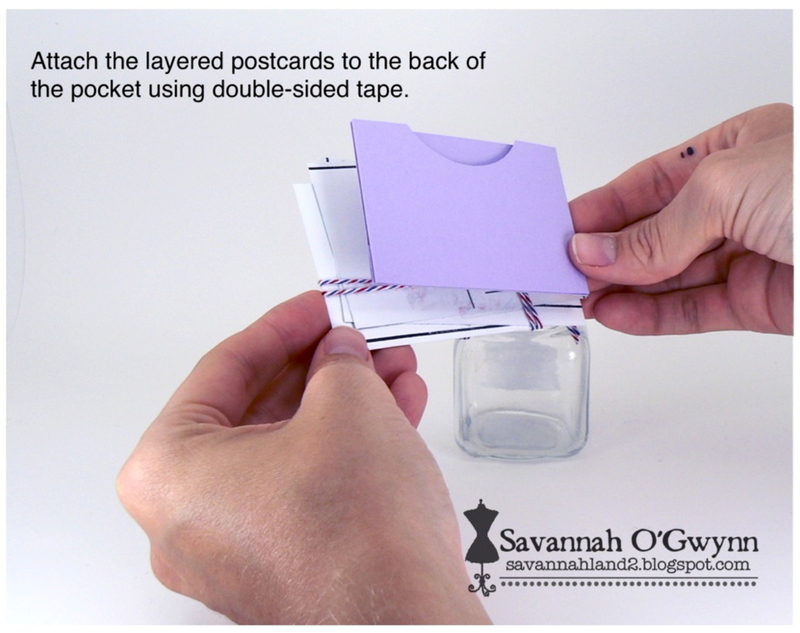 The front and back of the card are two separate pieces with an extra .25" at the top that is folded. You can make your card any size, my card base is 7 x 4.25", which folds into 7 x 4". You'll need two pieces cut into the same size. Glue the .25" strips at the top of the cards together, wedging the acetate strips in between. This will make them pop-up when you open the card. You'll end up with a .25" strip in the middle of the interior of the card. I covered that strip by adhering on some border punches. You can float any image, like clouds would be cute, or any other sentiment. Just be creative and be inspired by all that surrounds you. Thanks so much for taking a walk on the bright side with me. Hi friends! 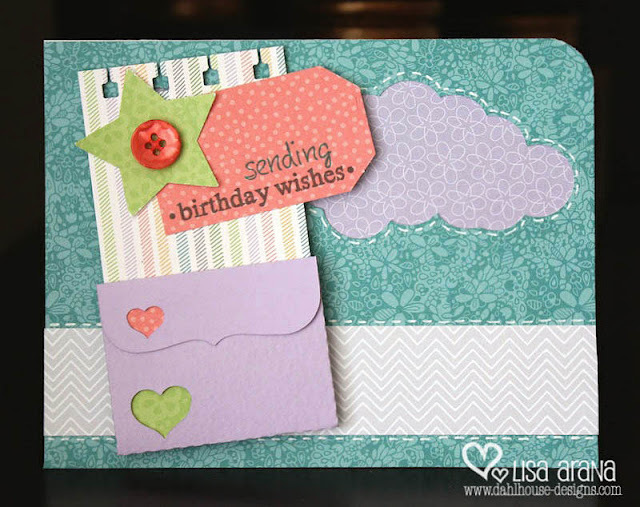 It's Ashley here to share a card with you using my A Walk on the Bright Side kit. Again, it's near the end of the month and I have TONS and TONS of product left to work with! I love my PMB kits because they have so much product in them! I have yet to finish using one up and I reach from them constantly. Here's a card I made with my FAVORITE item from the kit that I've been hoarding. 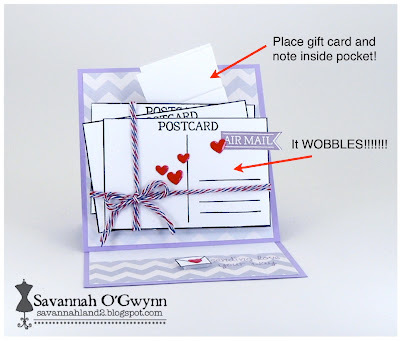 It's the little purple die cut envelope. I wish I had a million of these, they are so cute! I lined my envelope with some stripe paper from the Lawn Fawn pad. The sentiment is stamped on chevron paper from the pad, I choose the lightest area of this sheet so it didn't distract from the sentiment. The only thing I used that wasn't included in the kit is my border punch. 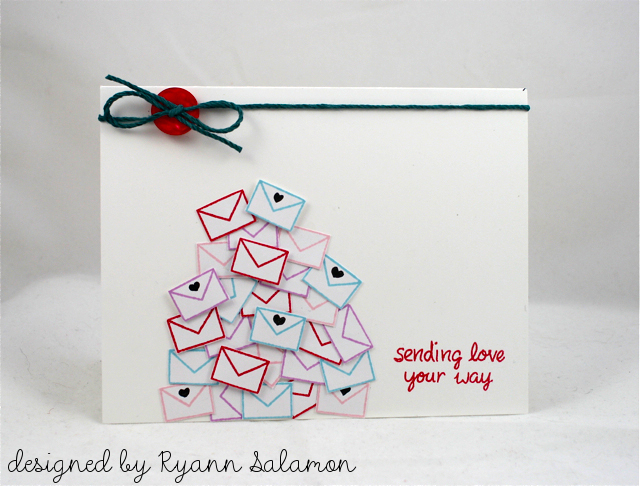 She's right...that pile o' love card Ryann made yesterday IS adorable! That CAS card sparkles with those tiny little letters made with Lawn Fawn's "You've Got Mail" stamp set, which is currently out of stock there. But, we've still got a few April "Walk on the Bright Side" kits left HERE that include the stamp set, Lawn Fawn's new 6x6 petite paper pad "Bright Side", their new eco-friendly (yesterday was Earth Day!) hemp cord and TONS of embellishments. Order your kit today and it'll be on its way to you toot sweet! Miriam -- please contact us with your shipping information and I'll get your little prize pack whisked on its way! 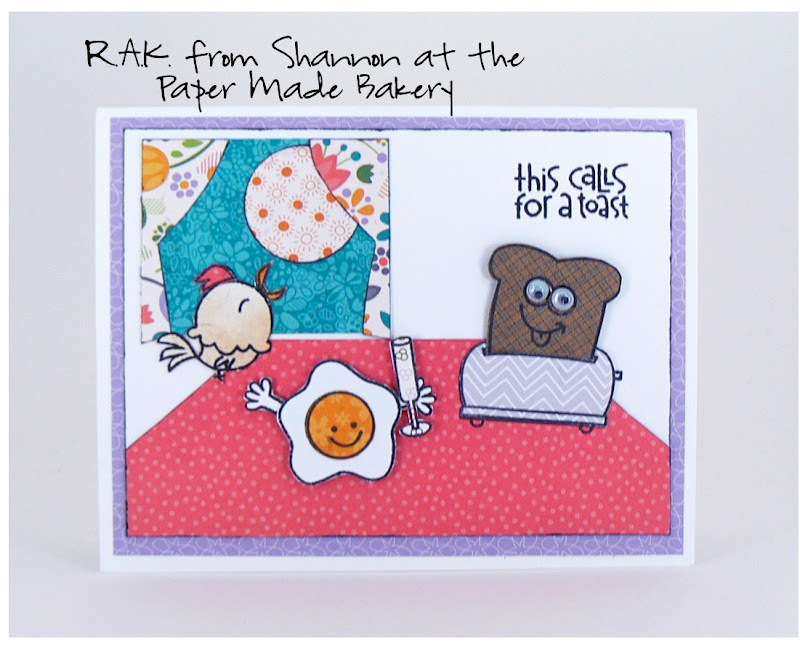 Thanks again, everyone, for stopping by the Paper Made Bakery! 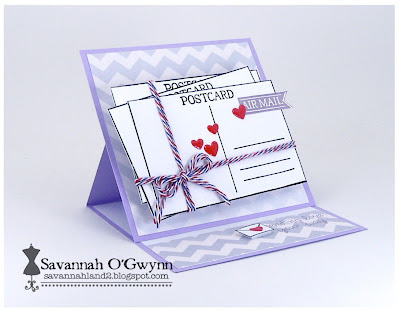 Happy Monday it's Stephanie here to share a quick and easy little notebook using the Walk On the Bright Side kit!!! I love making notebooks for my kids and it makes writing a little more fun for them when they have their own special little book!!! This is really quick and easy which I Love!!!! First you are going to want to get your supplies together. I used one card base included in the kit. Light weight paper - I used grid but you could also use computer paper. Score your card stock - this is just a regular A2 size, so no cutting required. 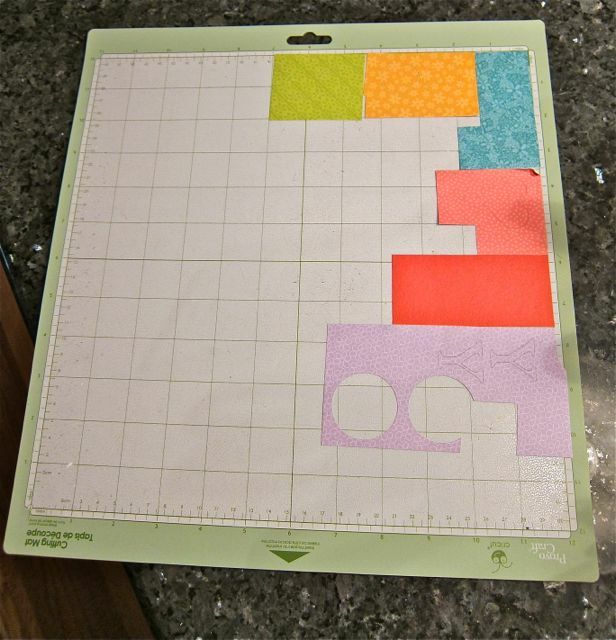 Now you are going to have to measure and cut your inside pages. I cut it down a 1/4 of an inch smaller than my card stock. I used 5 pieces of grid paper scored or folded down the middle. Gather all your papers and use a paperclip to keep all the pages in place. Now, there are a couple ways you can keep these papers together. I sewed mine right down the middle, but you could also staple or punch holes and add twine to keep the pages together. This is how it looks sewn and put together. Now the fun part - decorate!!!! The possibilities are endless with this. Just have fun with it! 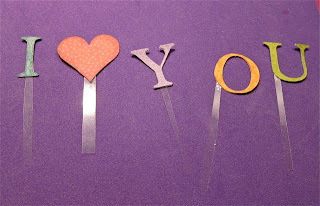 It's also a great way to use up those scraps of paper that you have left!!!! I hope you enjoyed today's project - thanks for stopping by!!!! 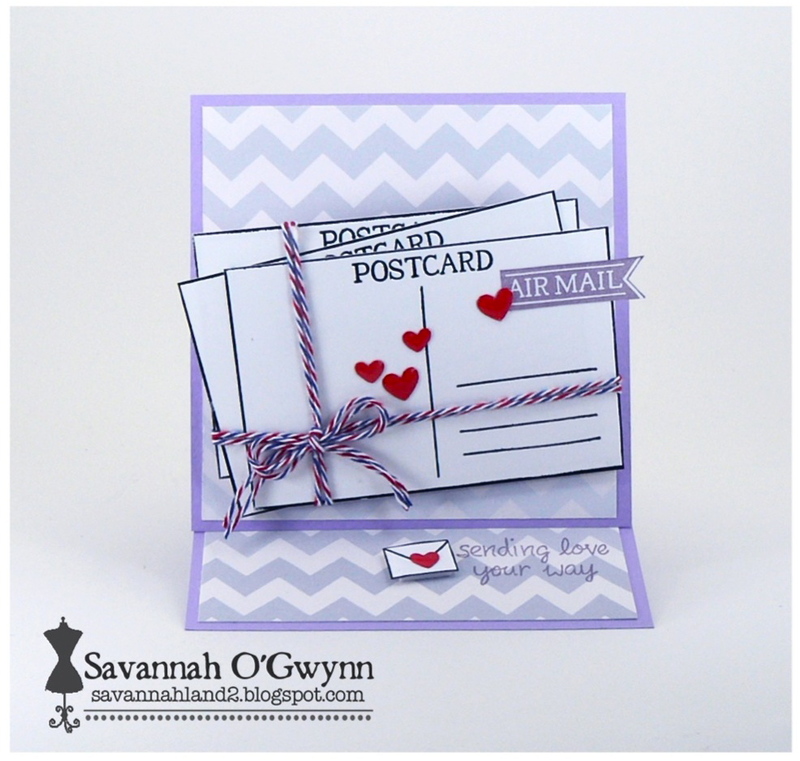 I started by stamping the little Lawn Fawn envelope in different ink colors. 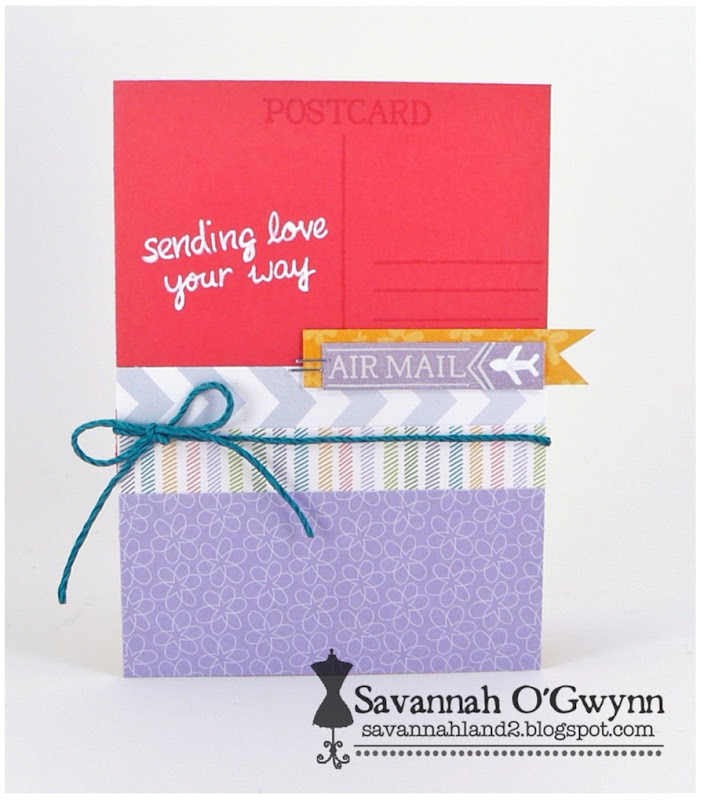 I want to say I stamped each color around 7 or 8 times, but I didn't use every single envelope, but most of them. I cut each envelope out, which isn't as tedious as it sounds. To make it easier on myself, I stamped each envelope in a row, so it would be one straight cut across the top and bottom, then just little cuts in between each envelope to separate them. If you haven't already checked out this month's kit, Walk on the Bright Side, be sure to do so. There are so many fun things in it. You can find a complete listing of ingredients HERE. It is usually filled with crafty fun. fun card with the current April 2012 Fresh Baked Kit. I used it from last week's card. I couldn't bare to spare any part of this kit. Actually, the star isn't the only re-purposed scrap piece included today. 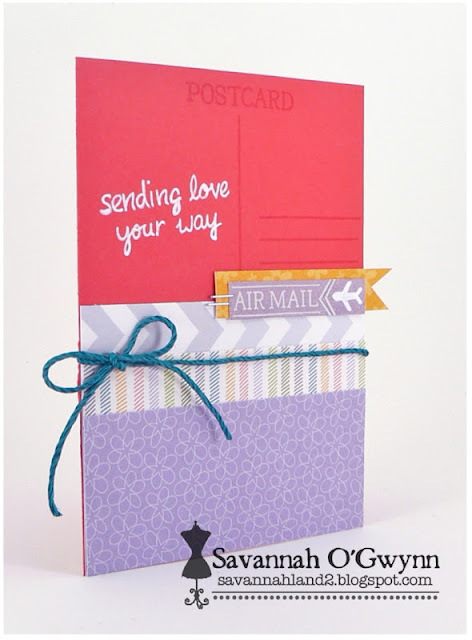 I used the negatives from the clouds for my sending thanks card (with the paper plane). Purple clouds are just so fun! I love how the purple cardstock of the envelop matches the pattern paper PERFECTLY!!! That is some keen work by our amazing kit creator. 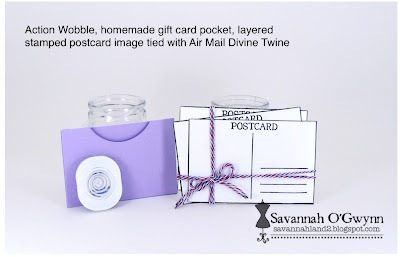 I wanted to show how to use the Action Wobble that is included in this kit--so I came up with the idea of a package of postcards (tied with Divine Twine) would be a pocket for a gift card or note and the entire piece would wobble...on an easel card! Normally I don't think this hard or in depth! But I love how this turned out! 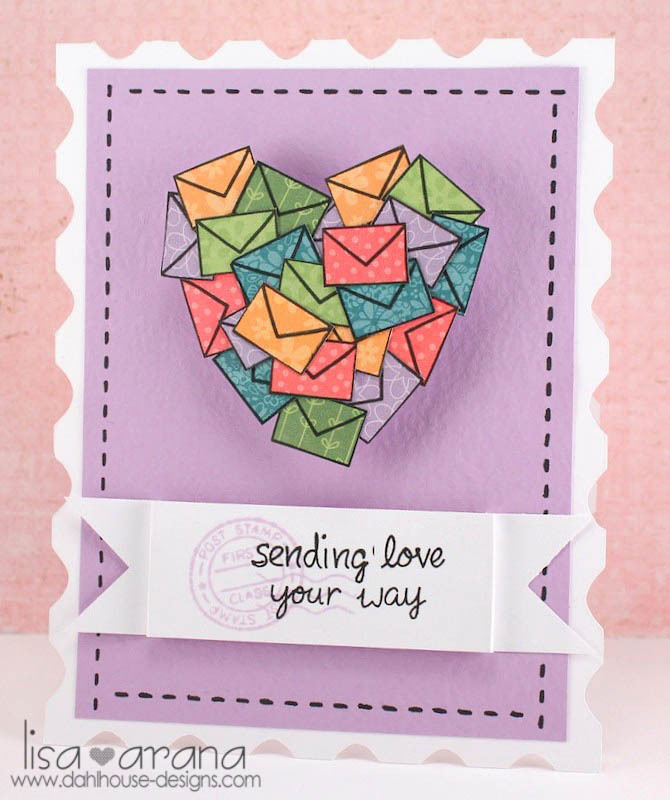 And ALLLLLL of the pieces on this card are included in the PMB April kit! If you would like to make an easel card, HERE is a tutorial. 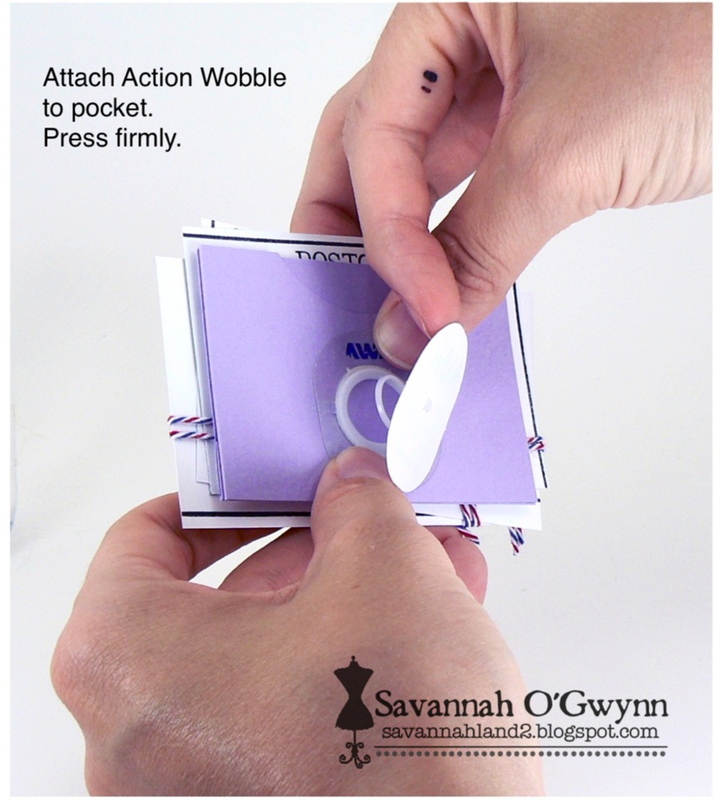 And below you will find some steps to making the package of postcard and pocket that wobbles. Supplies needed also include: foam tape, double-sided tape, etc. 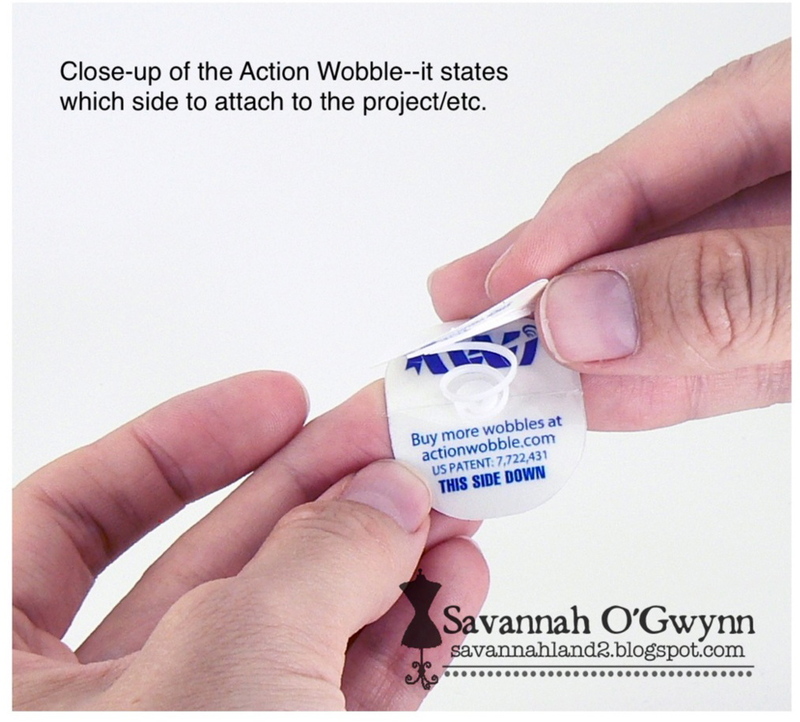 At first I was unsure of how to use the Action Wobble--but there are instructions! EASY! 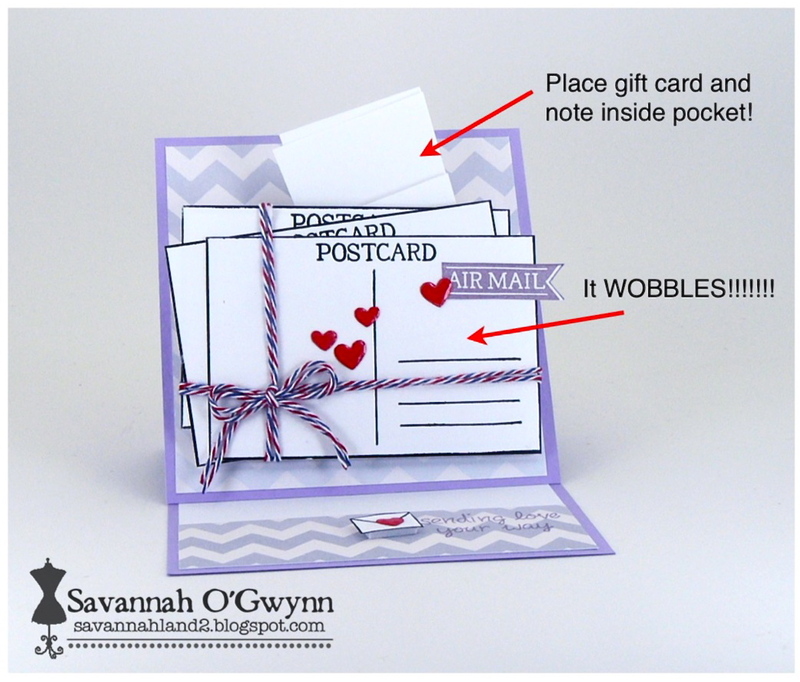 I wanted to share a pic of the package of postcards wobbling....it didn't turn out! But trust me--it's super super CUTE!